*Roadmap to Health and Happiness* Tips from an Integrative Nutrition Ambassador! March 29, 2014 March 30, 2014 by Victoria Pardue Certified Integrative Health & Yoga Fit Instructor, posted in Institute for Integrative Nutrition, Primary Food: Relationships,Physical Activity,Career,Spirituality, To Your Health! As an Integrative Nutrition Ambassador and training Health Coach, I know my stuff. But it takes more than knowing my stuff to reach my own health and wellness goals. Despite the cliché, I put in effort and make conscious choices to maintain the best health of my life. I achieve success thru sensible physical activity and meeting realistic goals. Eating well and physical activity does. Approach health as a lifestyle (change), not a diet. Unless you plan to be on a diet for the rest of your life, you’re just going to go back to your former way of eating and likely gain back any weight you’ve lost. Eating whole, nutritious foods has to become a daily habit. All calories are NOT created equal, and thinking you’ll maintain health simply by counting them or cutting them will likely leave you hungry, irritable, malnourished and not much healthier than you were when you started. Eating more fresh, raw- foods is a great way to increase your immune function, feel satisfied, add variety, and supercharge your health. Crap is crap, no matter how many calories are involved. Calories from nutrient-rich foods versus nutritionally-bunk ones from processed or refined sugars and carbs will have different effects on the body. Healthy, nutrient-rich foods help maintain stable blood sugar levels, minimize cravings, while your brain signals your belly that it’s full. Nutrient-poor foods will have the opposite effect, causing hormonal havoc, spiking insulin, setting off cravings, dulling satiety signals and encouraging overeating. In other words: nutrient rich foods help keep weight in check naturally, no counting required. Find good FOOD, and find what works for you. Everyone is different and it might take a little trial and error to figure out what’s best for you. If you’re aiming to lose weight, never skip meals. I eat a fiber-rich breakfast like oatmeal with seeds, fruit and nuts. I drink lots of water throughout the day, cook broth-based soups and stews that are loaded with veggies, and eat all my dinners accompanied with loads of salad and vegetables. I limit or avoid, dairy, refined sugar, alcohol, and processed foods, but don’t deny myself, especially if it’s a couple homemade chocolate chip cookies for a treat. I focus on adding more raw vegetables and fruits – crowding out processed and refined foods -, rather than an all-or-nothing approach. I’ll be honest here — I don’t follow or even recommend a 100 percent raw diet. Balance is a beautiful thing, and you’ll still be vibrantly healthy if you eat lots of fresh, preferably organic, fruits and vegetables (say, up to 50 percent of your daily diet) along with healthfully cooked whole foods. By far the easiest way to incorporate more vegetables and fruits into your daily routine is to keep them on hand, making healthy snacks, fruits, and vegetables a staple in the fridge. You’d be surprised how easy it is to whip up a snack – I can peel an orange faster than I can heat up pizza rolls! And again, it’s not all-or-nothing. You can pair an apple with nut butter or berries with yogurt. At our house, we love relish trays with a thick dip I blend(er) up using cottage cheese and seasoning. I also always serve avocado slices along side home cooked Curry, Cajun, or Mexican meals – adds a creamy texture while providing a healthy fat. I drink a green smoothie everyday. Yes, this means kale. Otherwise, you can successfully add spinach to any green smoothie no matter what kind of blender you own. Try the following smoothie for breakfast: 2 cups mango, one banana, 2 cups spinach, and a little water or orange juice. Even picky kids will enjoy this recipe! Get professional help, and not just with a nutritionist. In the end, the best way to lose and maintain weight is to get healthy. You cannot sidestep nature. This means eating real food, moving your body regularly, getting adequate amounts of sleep, and finding ways to manage stress. However, keep in mind that you don’t have to make all of these changes overnight! It’s a process. Just keep adding and eating more fresh and raw foods, finding healthy recipes you enjoy, and some gentle exercise. You don’t need to do it alone and you can get invaluable assistance from a health coach, therapist, or personal trainer. Check out my Integrative Nutrition Health Coach services on the Contact/ Services pages on this blog. I’d love to work with you personally! 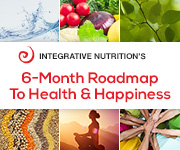 A *FREE* guide of the type of services I’ll offer is available by following the Integrative Nutrition Six Month Roadmap to Health and Happiness link (below). You’re worth it, and your health is important, so don’t skimp! You’ll enjoy higher and higher levels of health and vitality!